This is a shoe bag (no wheels) that is designed to clip on to the 2 Ball Clear Top Roller/Tote. how does the bag clip on to the vise tote? is there a picture? There are clasps on the sides to connect to the roller. They resemble carebeaners. 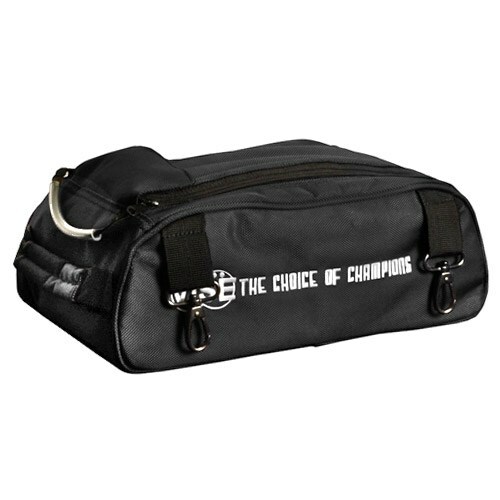 Due to the time it takes to produce the Vise 2 Ball Add-On Shoe Bag-Black ball it will ship in immediately. We cannot ship this ball outside the United States.